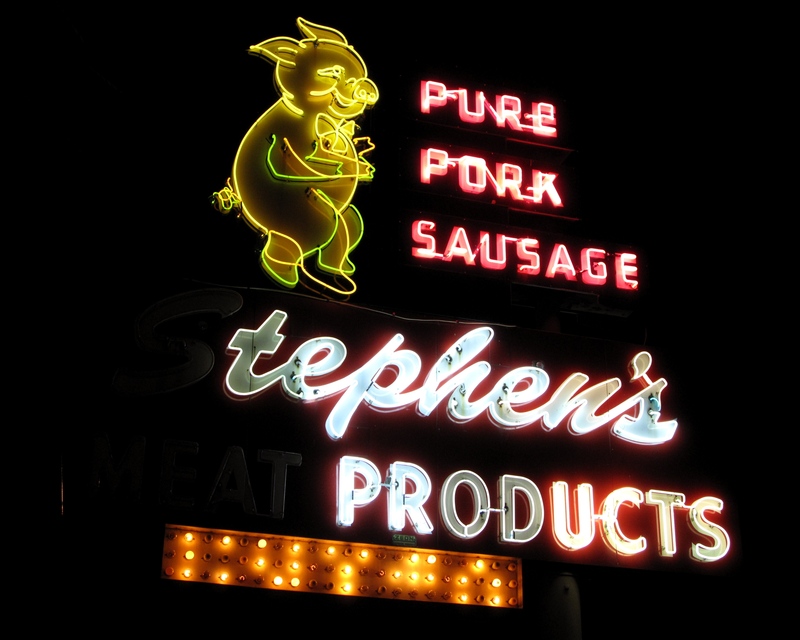 In San Jose, the signs for Winchester Shopping Center, Jose Theater, Stephen’s Meat Products, City Center Motel and the Safeway where Futurama Bowl used to be, all have one thing in common. These signs are among the 25 signs that appear in “The San Jose Signs Project’s Guide to the Vintage Signage of San Jose.” The guidebook was produced by The San Jose Signs Project (www.facebook.com/sanjosesignproject) with sponsorship from the Preservation Action Council of San Jose (www.preservation.org). 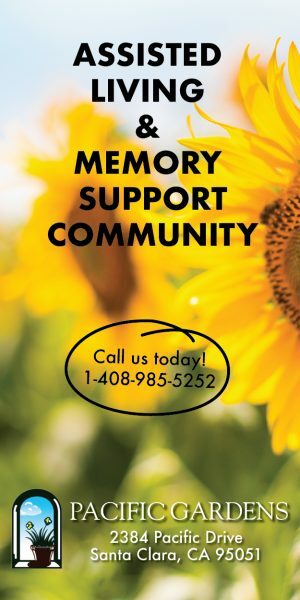 “The San Jose Signs Project is essentially a virtual platform for facilitating community engagement about what we’re going to do about all the historic signs at risk in San Jose,” said Heather David, a San Jose resident who has been involved with The San Jose Signs Project since its inception in 2017. “To save a sign, we prefer to save it in its historic context. 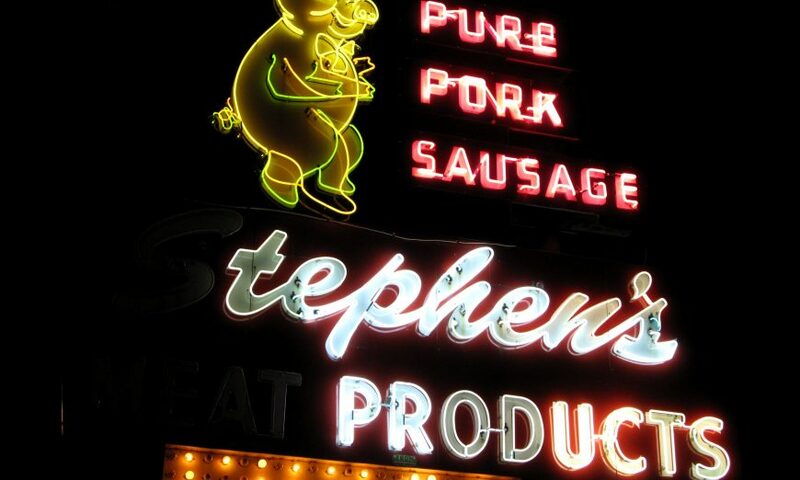 Although Stephen’s Meat Products is no longer in business, David considers its remaining sign, which features a dancing pig, a marker for a nostalgic time when roadside businesses advertised their products or services with neon signs. According to David, the vandalized sign hasn’t been maintained. Money from The San Jose Signs Project’s guidebook will go toward repairs. So far, the Preservation Action Council of San Jose fundraised $25,000 and seeks an extra $10,000 to fix the sign. The City Center Motel’s sign features a diving lady, an indicator of a pool on site. For David, a sign can tell a story and give historical context to a location. “There is the sign for Wing’s Chinese Restaurant in San Jose’s Japantown,” said David, giving an example of such a sign. “What is a Chinese restaurant sign doing in Japantown? The restaurant, Wing’s, dates to 1925. It is the oldest restaurant in San Jose that has been in continuous operation.